This set marked a changing-of-the-guard for D'Oyly Carte. 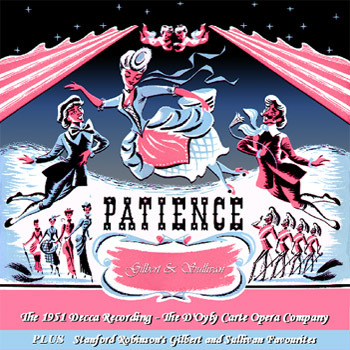 Martyn Green, Darrell Fancourt, Ella Halman and Margaret Mitchell all made their final recorded appearances, as the Company began to usher in its next generation of stars. One of these was Peter Pratt, who sings the minor role of the Major here, but would become Martyn Green's replacement and play his roles through the 1950s. The role of the Duke is shared by Leonard Osborn and Neville Griffiths. 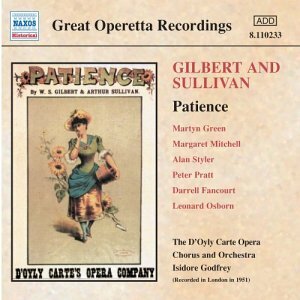 On some issues of this recording, the notes only mention Osborn, but in fact he sang just the Duke's first solo ("Of rite sacrificial…"), while Griffiths sang the rest. 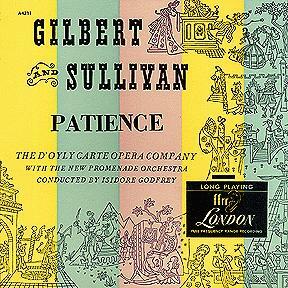 Griffiths' name, not Osborn's, appears on the record labels themselves. Osborn allegedly fell ill during the sessions, and Griffiths (who no doubt would have been in the chorus) took over for him. 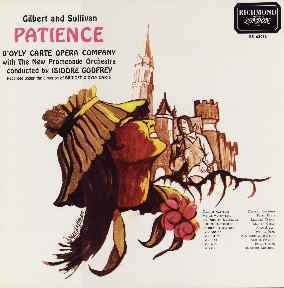 There is nothing particularly compelling about this recording, and many listeners will prefer the 1961 recording, which has full dialogue. 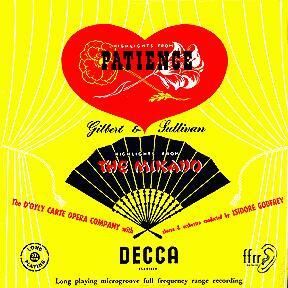 The performance is musically complete, except for the reprises of "Twenty love-sick maidens we" and "Prithee, pretty maiden," the opening chorus of Act II, and the fanfare at the end of the opera. These items were also omitted from early vocal scores, although they were always performed on stage. 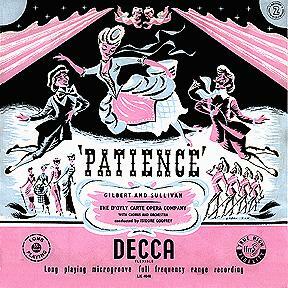 1953 Decca Mono LP LK 4068 Patience and Mikado highlights. Note that LKA 4068 was an Australian issue.